To understand what is a white label partner, it is important to first define what is white label. This a business activity where a production company produces unbranded products. which are sold to a company which resells the specific products as their own, with full branding to the consumers. These products can range from software, electronic or an actual product. HopInTop is an all-around digital marketing company, since 2007, they have been providing top-ranked solutions to agencies and companies across the globe in SEO, PPC, B2B, etc. Our company has a culture of relying on data, facts, and research in delivering a transparent and precise result to all our clients. Digital marketing is a great tool to grow a business in this new era of the internet revolution. Why? Many consumers today have moved to online research to help in product purchases, using information or data from digital platforms like social media, Product reviews and blog sites viewing ratings and reviews from actual consumers who have used the product he/ she wants to buy, this is the top influencing factor in purchasing today. Tracking all this single-handedly as a business manager can be overwhelming, and time-consuming apart from handling your internal company matters. This is why company owners are highly advised to outsource services from agencies, freelancers or employing internal assistance. Access to a big amount of data, that the white label company has gathered while working with various similar companies to yours as compared to the data gathered with an in-house employee. Remember the amount of data determines the difference between more profit and loss of a product. 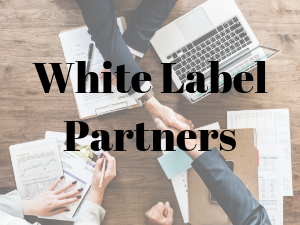 A white label partner, provides services from an outside agency with more experience and expertise, disguising themselves in your business brand. This is advantageous because despite paying for the service. Your brand still makes money from the input of the partnership as clients still believe they are getting service from you. Predictability in business is an advantage. Working with white label companies has an advantage of predictability because, As a client, you get to choose your package and customize them to suit your business and budget. What's good is that in case of any challenges in the field you won't incur any cost as it is handled by the agency in question. Scaleability and quota working with white label company eases the ability to scale up because depending on your business growth and trajectory they can handle it as It comes, a companies growth to these white label agencies is not constrained to the number of employees, or overworking employees. We are now in the generation that gives a lot of data, big data generation. With tools for computation like Artificial intelligence, machine learning, and data mining. Becoming a leader online is now harder for those hands-on directors who want to do it all on their own. HopInTop is here to for you. 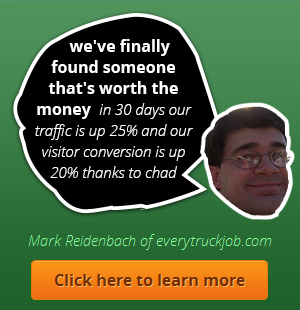 With over 50 digital marketing services including SEO, social media management and much more. We will help you make sense of data from your business and tailor, solutions infusing proven solution to problems we have encountered before in digital marketing. Do not hesitate to visit us online on today and learn more about what is a white label partner and let us work with you to grow your business, 100% digital marketing done for you.